Stirling Properties Highlights Leading Ladies In Commercial Real Estate! by Stirling PropertiesPublished December 4, 2017 Leave a Comment on Stirling Properties Highlights Leading Ladies In Commercial Real Estate! Last month, several Team Stirling Properties members were acknowledged and awarded for their successes and contributions to the Gulf South commercial real estate industry. Melissa Warren, CCIM, Sales & Leasing Executive, was selected by the New Orleans Metropolitan Association of REALTORS® (NOMAR) Commercial Investment Division (CID) as a member of its governing Board of Directors. Warren is one of only three women to hold this post. She will assume the position on January 1, 2018, and serve for a two-year term. Warren has provided commercial real estate advisory services for more than 16 years, with a focus on industrial, office, and retail sales and leasing, as well as tenant and landlord representation. She was awarded the Top Producer Ruby Award by the Gulf Coast Association of Realtors (GCAR) for completing the largest number of commercial transactions on the Mississippi Gulf Coast, and inducted into the Top Producer Round Table for lifetime achievement. She is a graduate of Mississippi State University and holds a Bachelor of Arts degree. 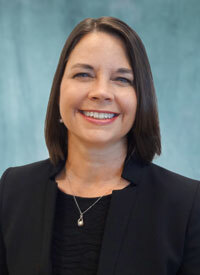 She is a member of the National Association of Realtors (NAR), NOMAR CID, CCIM Institute, Louisiana Chapter of CCIM, and ICSC (International Council of Shopping Centers). Carly Plotkin, Sales & Leasing Executive, was awarded a $1,500 NOMAR CID Education Scholarship. The scholarships are designed to help individual CID members increase their knowledge and education in the fields of commercial and industrial real estate. The scholarship may be applied to courses from many different providers (i.e., CCIM, SIOR, IREM, LR, UNO, etc). She is one of only three recipients awarded this year. Plotkin joined Stirling Properties in 2016. Her primary focus is on tenant and landlord representation, as well as a strong interest in the retail and hospitality market. 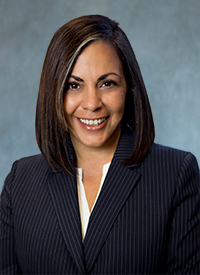 She has worked with national, regional, and local clients in both marketing and leasing capacities. She was the recipient of the 2017 “Rising Star Award” at the NOMAR CID Annual Achievement Awards ceremony. She is an active member of ICSC and holds the position of Next Generation State Chair for Louisiana. She is also a member of the Retail Brokers Network (RBN), and serves as RBN’s NextGen Southeast Committee Chair. 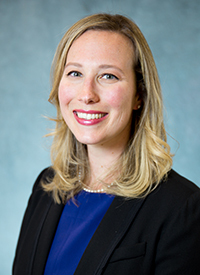 Plotkin is a graduate of Tulane University with a bachelor’s degree in Consumer Behavior/Marketing and Management. Rhonda Sharkawy, Senior Retail Leasing & Development Executive, was recognized in New Orleans CREW (Commercial Real Estate Women) Network’s member spotlight for the month of November. 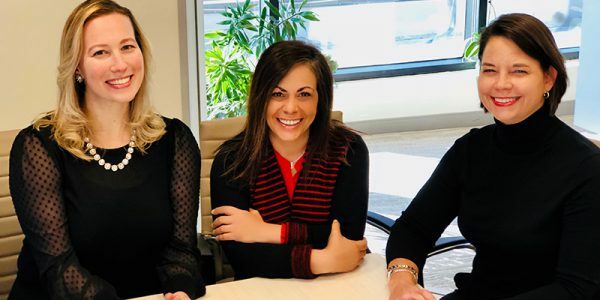 New Orleans CREW Network is the premier commercial real estate association in the Greater New Orleans Metropolitan Area for women from all disciplines of commercial real estate. Sharkawy joined Stirling Properties in 1998, and has commercial experience working with new retail developments, redevelopments, and leasing of existing shopping centers. In addition, she represents over a dozen national retailers throughout Louisiana. She is a graduate of Loyola University in New Orleans with a bachelor’s degree, and a master’s degree in Land & Real Estate Development. She also completed coursework for a master’s degree in Construction Science from Texas A&M University. Sharkawy is active in ICSC and serves on Loyola University’s Board of Trustees. She has been inducted into the National Association of REALTORS® Commercial Hall of Fame for having the highest volume of transactions in the marketplace for at least 5 years. She is one of only three inductees in the Hall of Fame, and the only woman to achieve this distinguished honor. While there is still much work to do, progress is happening. We are proud of our Stirling Properties’ team and all the women who are making a difference in commercial real estate!